The Hirudoid cream contains a substance known as heparinoid which has similar functions as those of a heparin. Therefore, its main role is to dissolve blood clots and improve blood circulation to the skin. Otherwise, it can be used to reduce skin bruises and control inflammation of the veins or superficial thrombophlebitis. The product is for external use only and should never be used on open wounds or broken skin, used by children under five years, people who develop allergy to the product, on large skin areas, on mucous membranes and sensitive skin. In other terms, refrain from using the cream without your doctors knowledge and pregnant and breastfeeding mothers should use it under a physician’s instructions. a. The cream contains MPS or otherwise known as mucopolysaccharides which are the active ingredients needed for the healing process of the skin tissues. Actually, the cream according to research studies penetrates deep into the skin layer ensuring 100% efficiency in the treatment process. Therefore, it enhances blood flow in the area, improves tissue regeneration, enhances the skin’s moisturizing capacity and reduces inflammation and swelling. b. 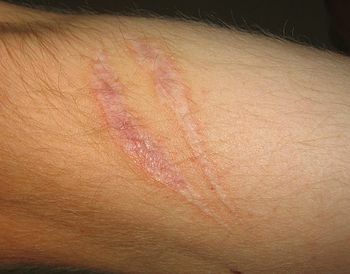 It promotes treatment of scars because with MPS the skin can attract water which assists in the loosening of the connective tissue responsible for thickening of the scar. In addition, the cream is known to have cosmetic values where it reduces the redness of the skin. c. It also dissolves bruises at least 50% faster and most plastic surgeons are witnesses of the cream’s effectiveness hence recommend it to their patients. In other words, the cream reduces the healing time by at least 50% and reduces swelling on the region operated on. d. Hirudoid cream is also recommendable for minor injuries such as the spraining of the ankle which often leads to swelling on the sprained area. Therefore, the cream dilates the peripheral blood vessels increasing blood flow in the area thus reduces swelling. Moreover, some studies have shown that at least more than 75% of patients who sprained themselves and used the cream were able to function normally within a week. This can only mean that Hirudoid cream is not only effective in healing but also in treating other inflammatory conditions.